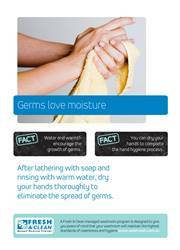 Raise awareness and inculcate the importance of good hygiene in the workplace. These signs and posters will prompt them to practice good hygiene in order to prevent illnesses from spreading resulting in a healthier workplace. 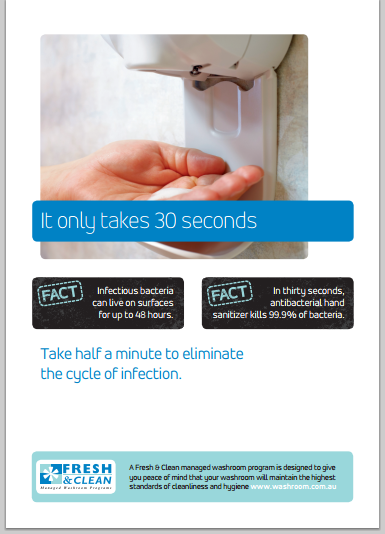 Below are smart, eye-catching hygiene posters that you can display at your washrooms, offices, workplaces or in highly visible public areas. 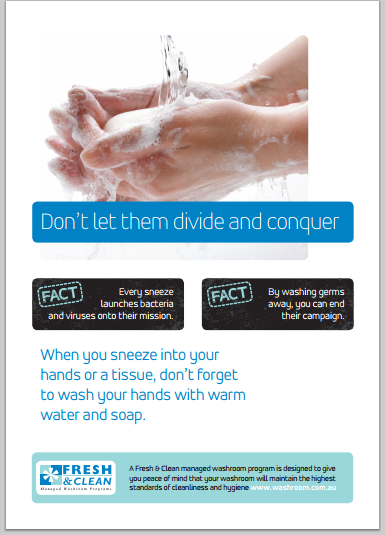 Feel free to download as many as you like and make sure everyone is reminded to maintain good hygiene in the workplace. 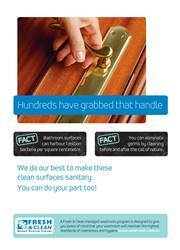 A4 and A3 sizes are available. 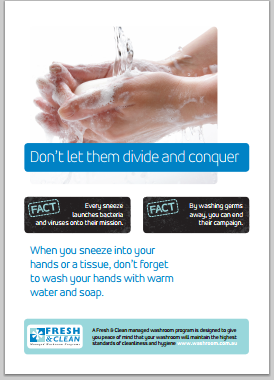 Poster Message: When you sneeze into your hands or a tissue, don’t forget to wash your hands with warm water and soap. 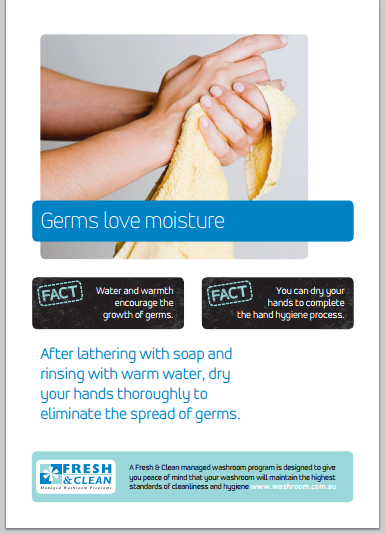 Poster Message: Clean your hands with soap and warm water or hand sanitiser to stop the spread of germs. Poster Message: After lathering with soap and rinsing with warm water, dry your hands thoroughly to eliminate the spread of germs. 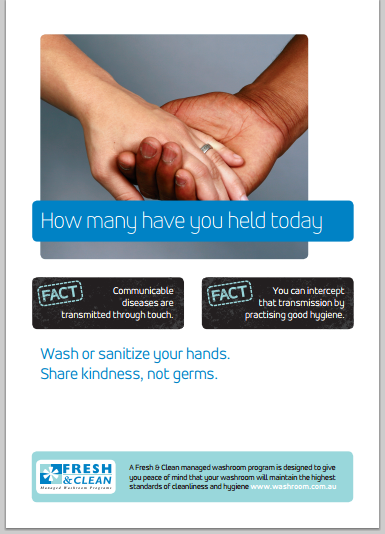 A4 Hygiene Poster: How many have you held today? Poster Message: Wash or sanitise your hands. 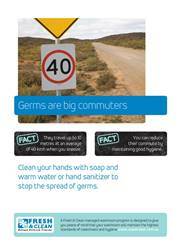 Share kindness, not germs. A3 Hygiene Poster: How many have you held today? 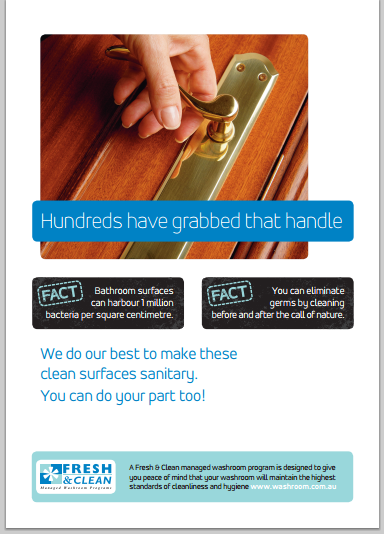 Poster Message: We do our best to make these clean surfaces sanitary. You can do your part too! 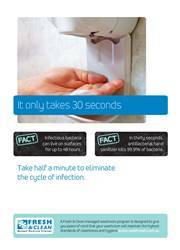 Poster Message: Take a half a minute to eliminate the cycle of infection. 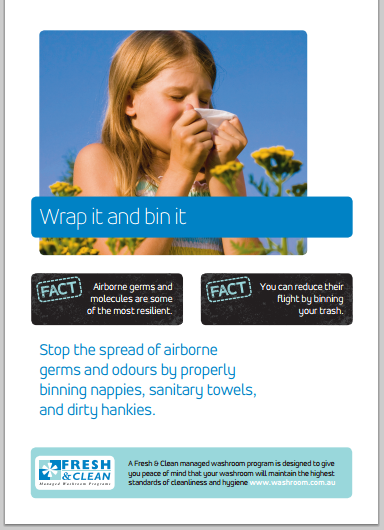 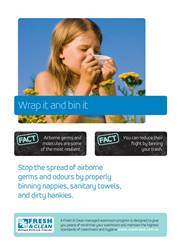 Poster Message: Stop the spread of airborne germs and odours by properly binning nappies, sanitary towels, and dirty hankies.